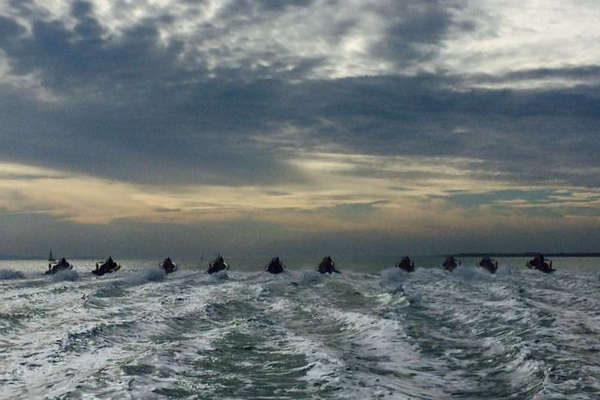 Rib Charter News | Neil's favourite charter of 2014, lots of Ribs! 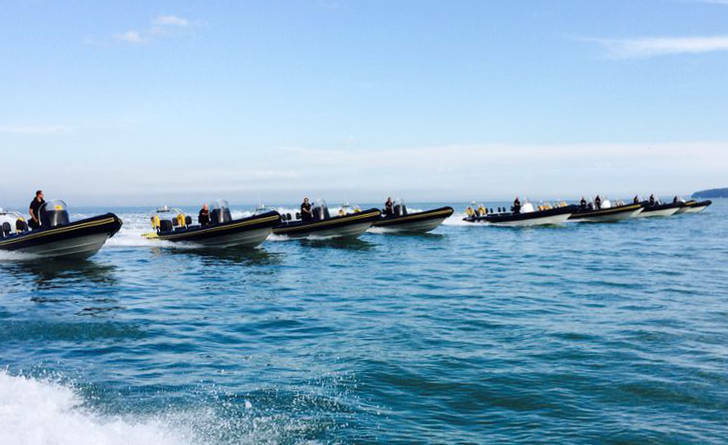 Home Rib blast Neil’s favourite charter of 2014, lots of Ribs! Neil’s favourite charter of 2014, lots of Ribs! 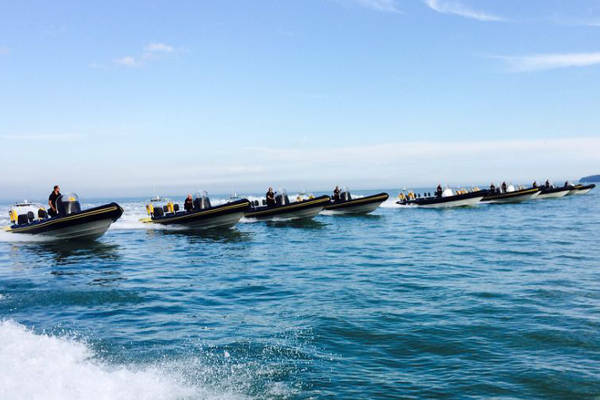 Its always great to see a large proportion of the fleet out on the water for a single job. With a matched fleet of 24 boats and the largest event organised to date for 420 guests we like to think we can always come up with great options for your next event! Here are a few shots from Neil of a 13 boat charter back in the summer – the team practiced some formation driving on way to the charter in Southampton and then on the way home to our berths in Lymington Yacht Haven.